Owning an iPad is one of the best things that can happen to you. But, when you have an iPad, it is essential that you use certain apps which ease out your work and also act as a stress removing agent. These apps apart from simplifying your work also, unleash the hidden creativity within you and bring out the best of you. With numerous apps available on the internet, you can customise your work. Plus you get a wide variety of apps to choose from. Here is a list of ten of the coolest apps for iPad. Want to shoot a perfect 1080p High Definition movie? Well, if yes, then here is your thing. With iMovie on your iPad, you can shoot a movie. And that’s just not it. You can turn your footage into either a trailer or a feature film, whatever you want. You can fine tune your own soundtrack and add Hollywood styled themes. You get to have your LIGHTS, CAMERA and ACTION moment, on the go wherever you are. View, edit and share your photos with the light handed simplicity and power of multi touch facility on your iPad now. This app enables you to organize your photos and compare them. You can apply professional picture quality effects, make brush adjustments and create beautiful journals to share with your loved ones with simple taps on the screen. If you are crazy and passionate about music then this is your stop. You can play different instruments while tapping the screen and they sound exactly like their original counterparts but then it is easier for you to play these instruments. But the best part is yet to come. You get to record your songs, mix and share them too. Making a killer presentation is now just a few taps away. With pages, numbers and keynotes you can now make some impressive documents, stellar presentations and beautiful and amazing spreadsheets. Your imaginations come true in the most satisfying way. A book store of over 1.5 million books turns your iPad into a handy library. The best part about it that many of these books are free on the web store. Pages here turn with just a flick. You organize your books and also create your own collections of your favourite books. 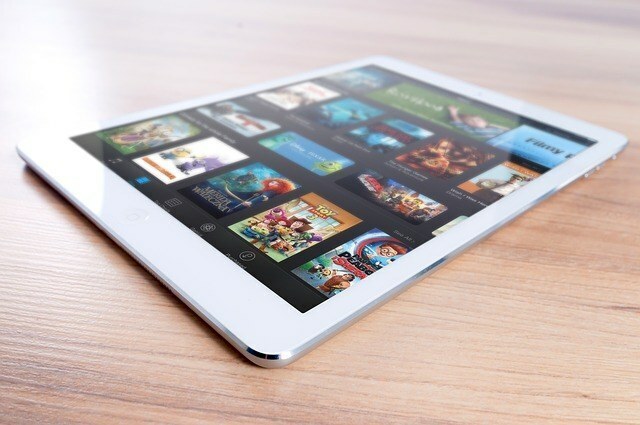 Streaming television shows and movies on your iPad couldn’t feel any better. In a matter of seconds you can search, queue and play your favourites instantly. All news that is to be consumed is brought forth by this app in form of properly displayed articles and videos. So, you stay up to date with what’s happening in the world around you. If you do not find your iPad with you, then don’t panic. This app helps you find it. All you need to do is to download this app on a friend’s iPhone, iPod touch or iPad and then sign in. You’ll get what you need. Now you can create your personalized cards and mail them from your iPad. You get to take complete courses from the different universities and schools across the globe by laying your hands on the world’s largest free education containing catalogue. With awesome stuff ready for your utility, it is now time to work on getting them and enjoy life, king size.